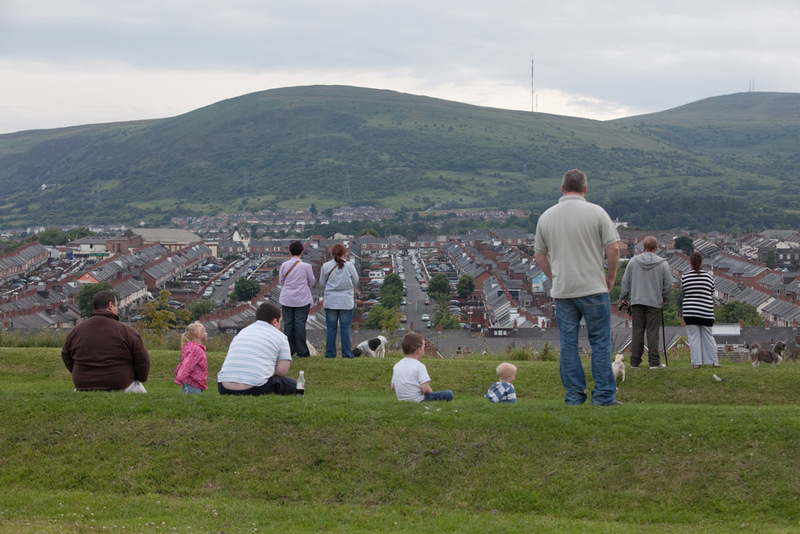 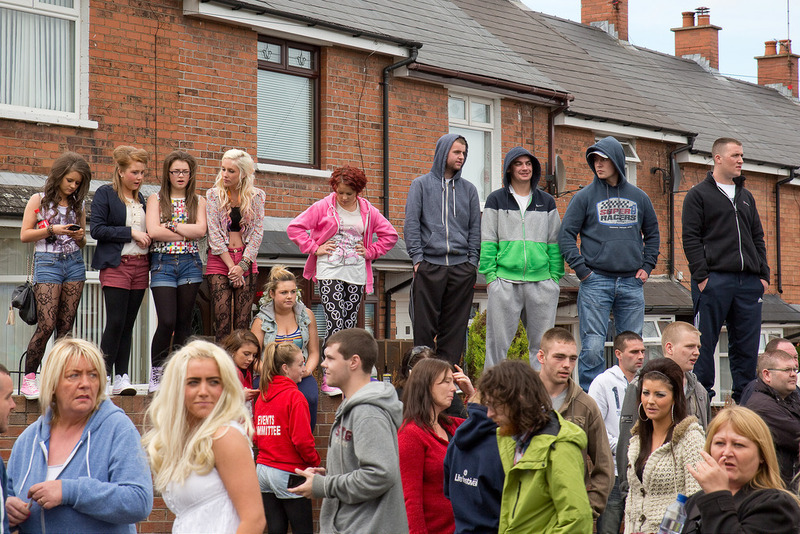 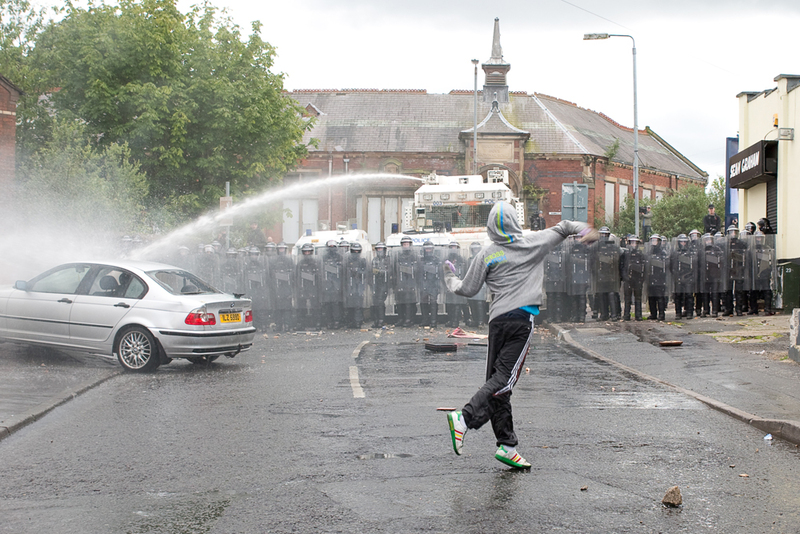 While physical markers often define and divide communities, Belfast, Northern Ireland's neighborhoods are a special case. 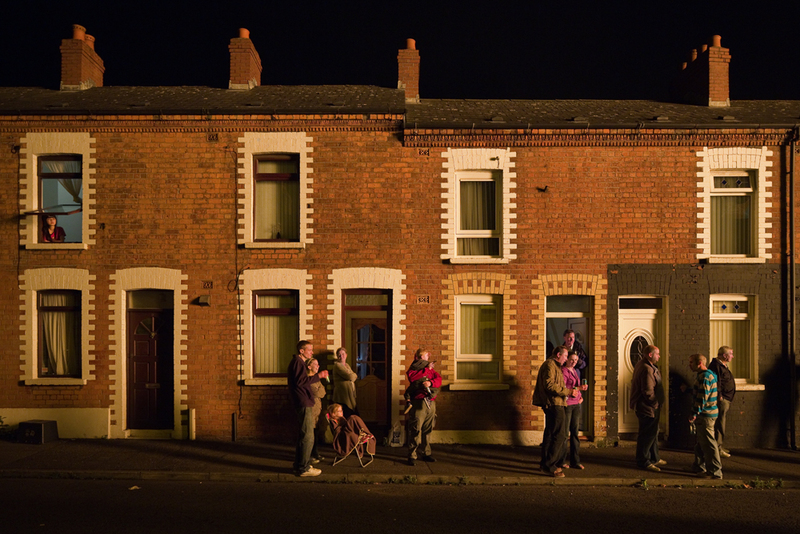 The city's neighborhoods reflect the convergence of history, politics, and place in a geography of overt division. 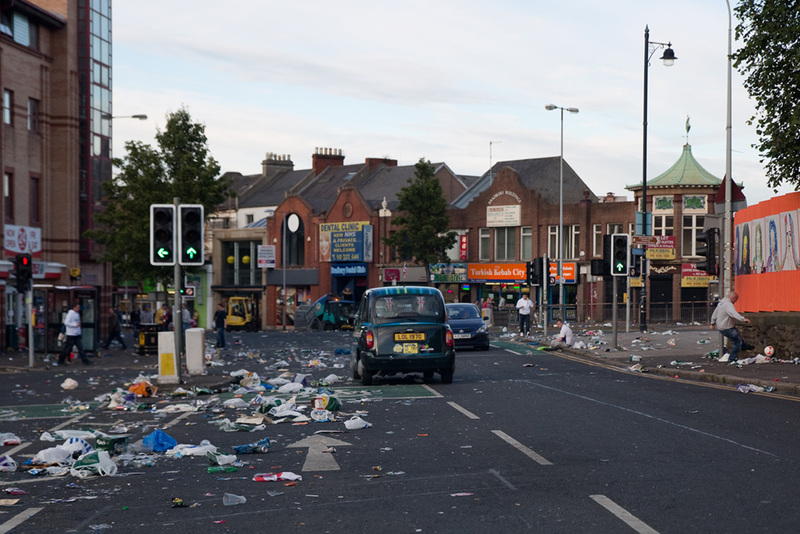 Republicans, who desire to unite Northern Ireland with the Republic of Ireland, and loyalists, who are devoted to the United Kingdom, live in close proximity in the compact urban core. 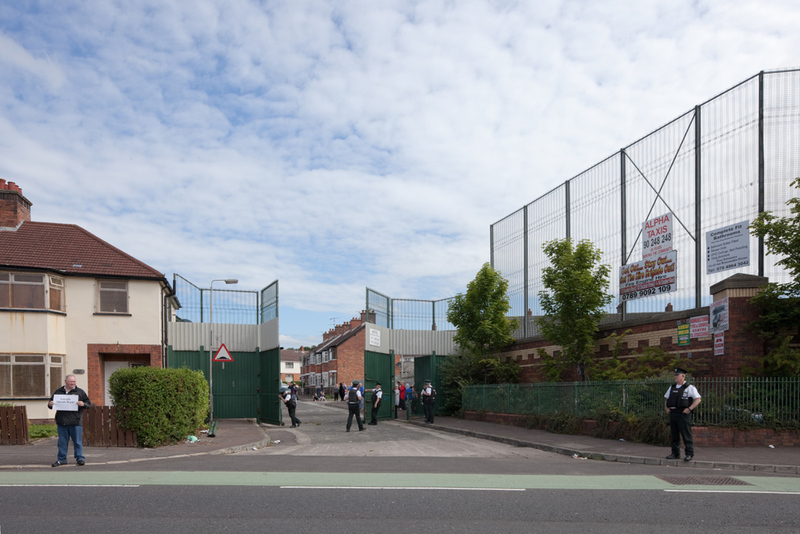 This intimacy has generated a system of territorial claims through physical divisions and cultural activities, including the construction of "peace walls," which fix neighborhood boundaries with massive barriers apportioning the city. 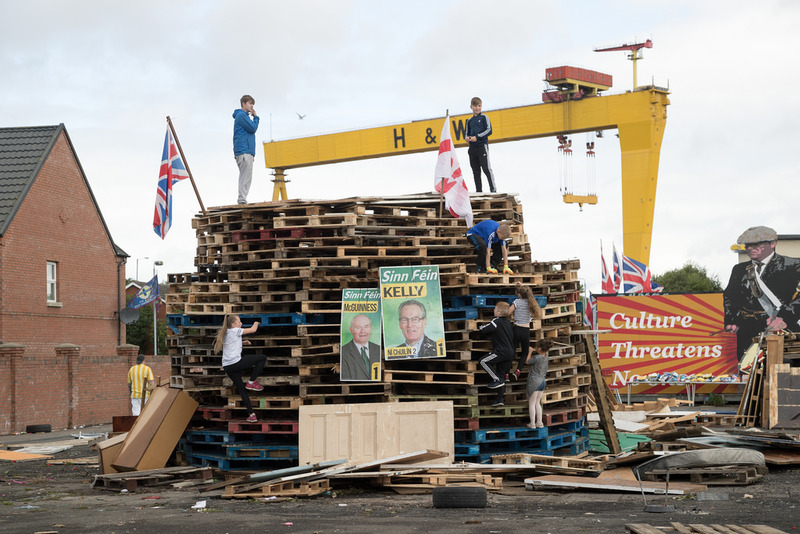 But the claims over place are not always distinguished by physical boundaries; instead, territorial entitlements are constantly negotiated through public events and temporary assemblies, the most spectacular of which are produced over the course of two days in July. 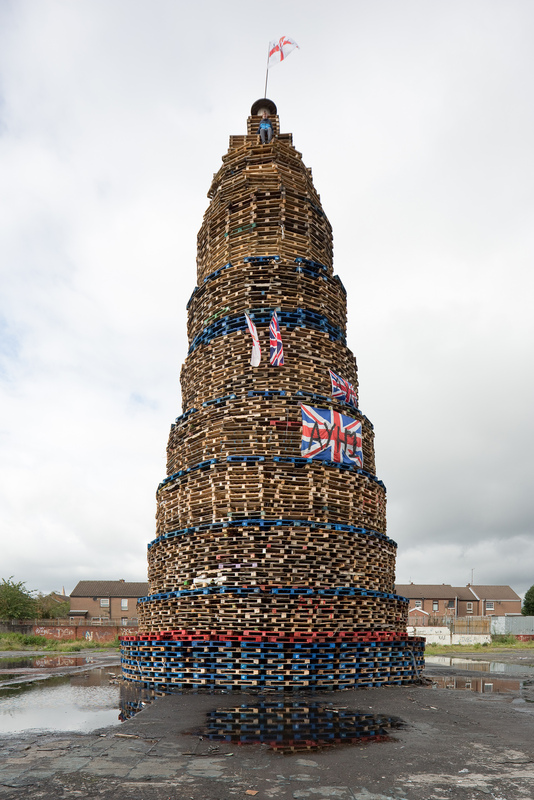 The first of the two events is Eleventh Night, on which loyalists ignite massive bonfires to celebrate the 17th century triumph of the Protestant William of Orange over the Catholic King James II. 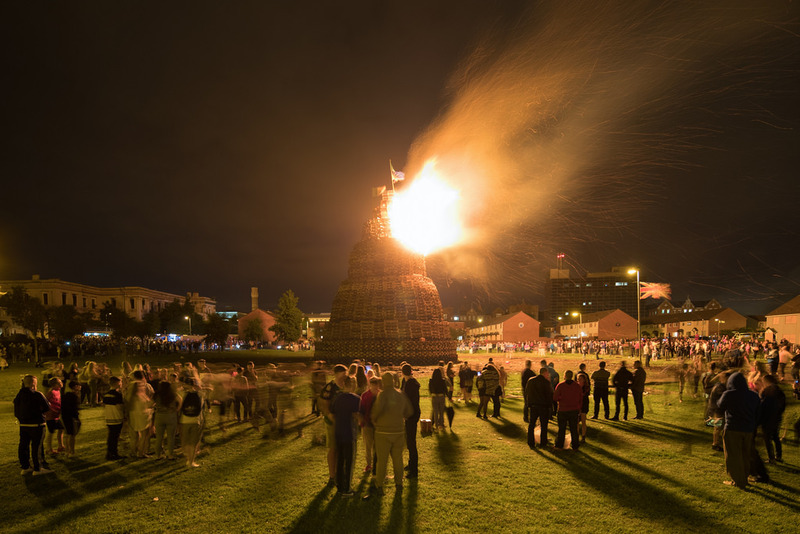 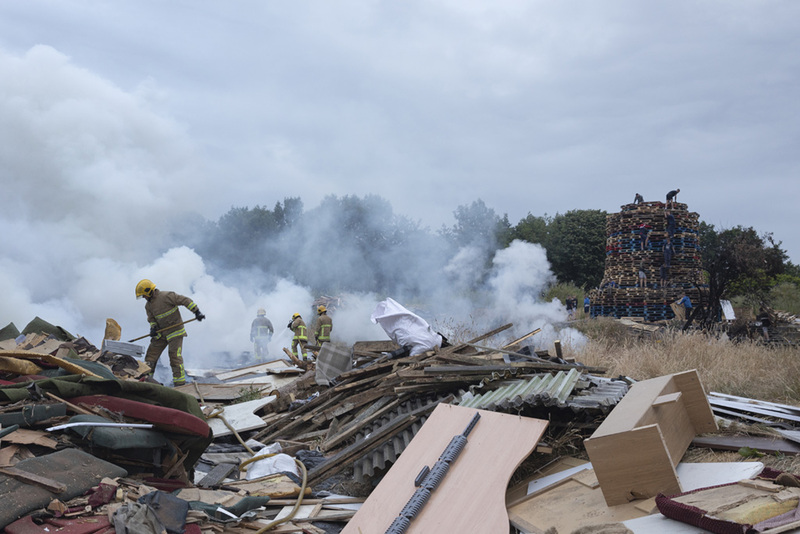 Legend has it that the war, which fortified Northern Ireland's association with England, was won with the assistance of bonfires that allowed the Protestant forces to negotiate Belfast waters at night. 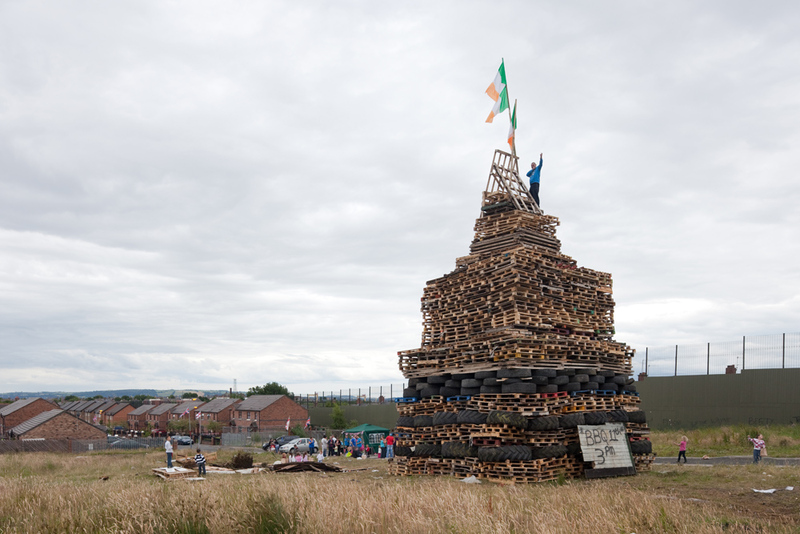 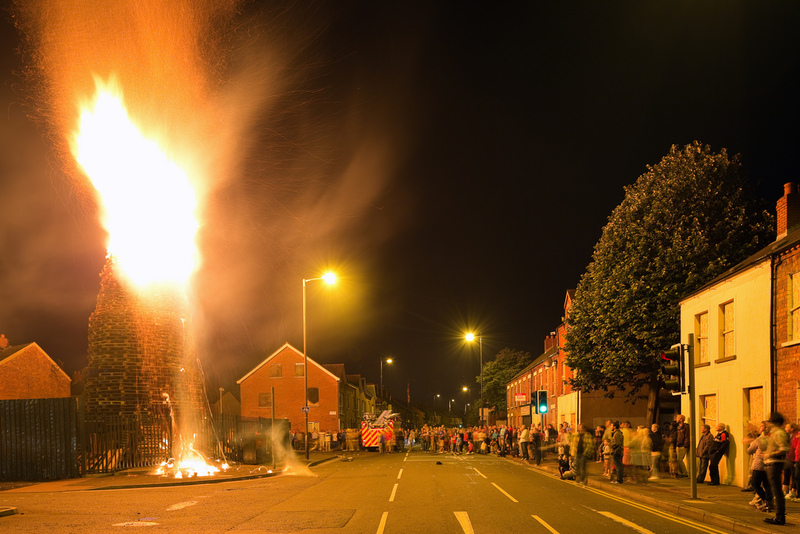 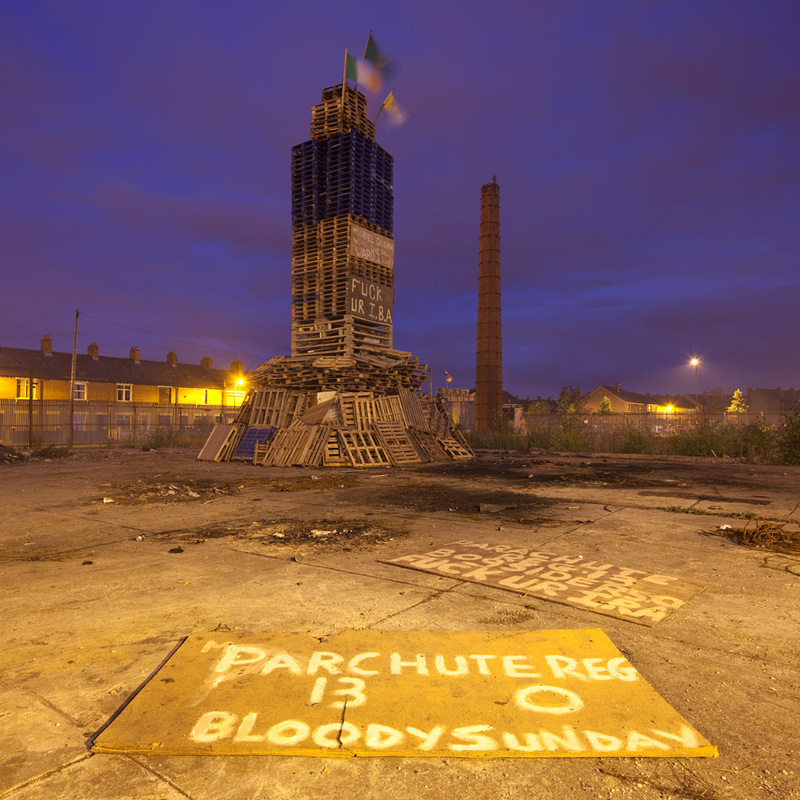 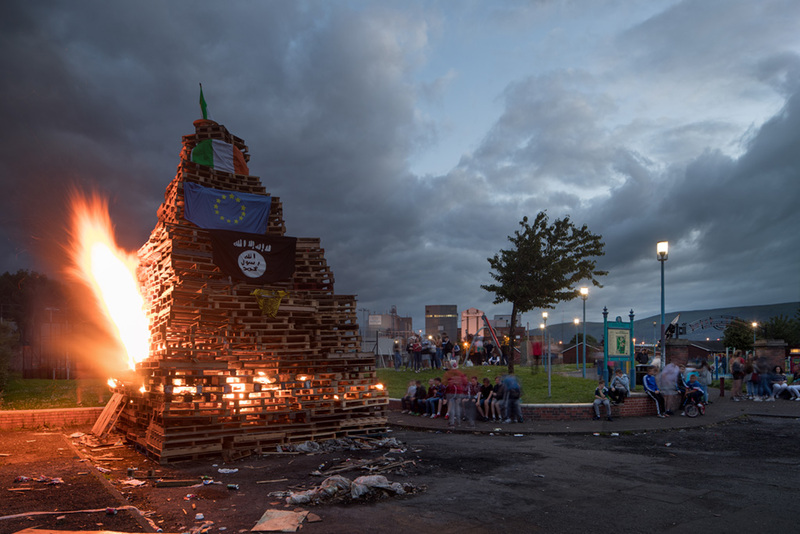 Contemporary loyalists reproduce the historical divisions not only by constructing commemorative bonfires in their neighborhoods but also by burning Irish and Catholic symbols in the process. 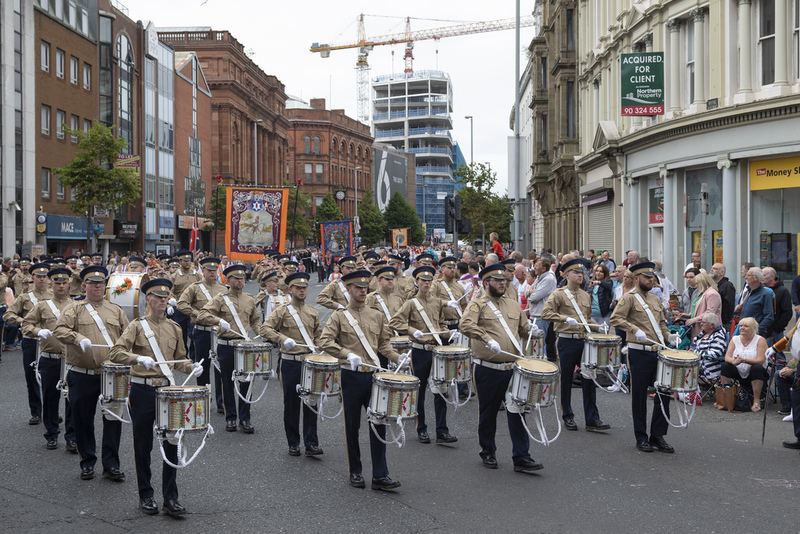 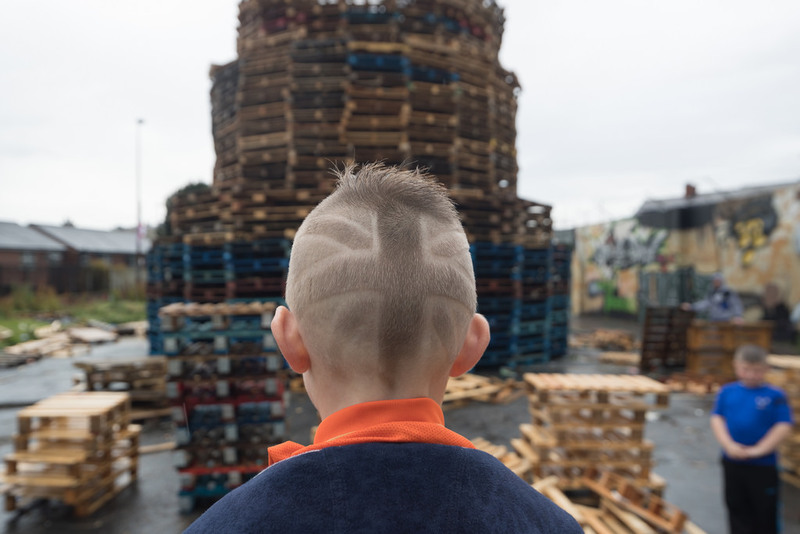 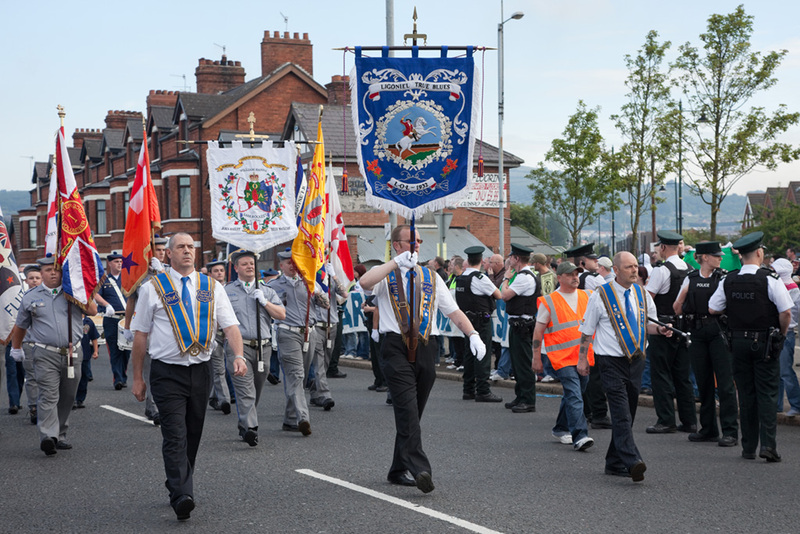 As many bonfires still smolder, the theme continues on The Twelfth, when members of the Orange Order, composed of loyalists and other supporters, march through the city. 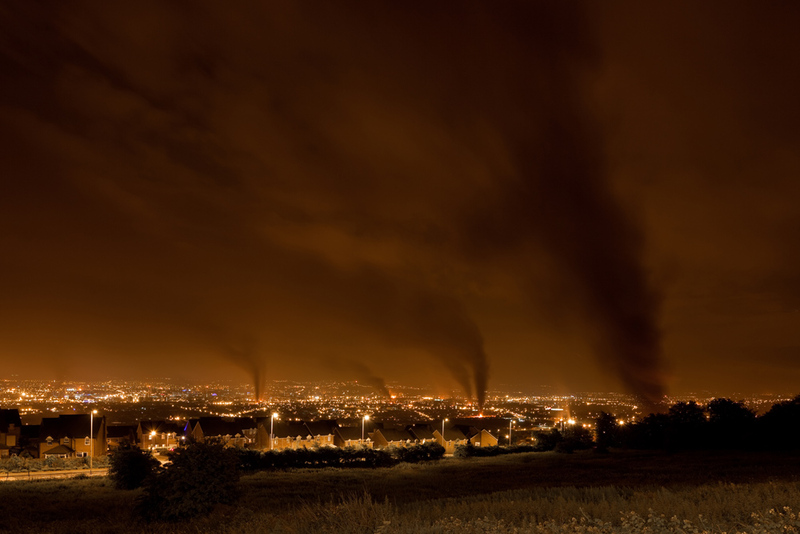 Each of these activities connect the current political struggles over place to more than three centuries of conflict, and operate as unmistakable claims over the contested city. 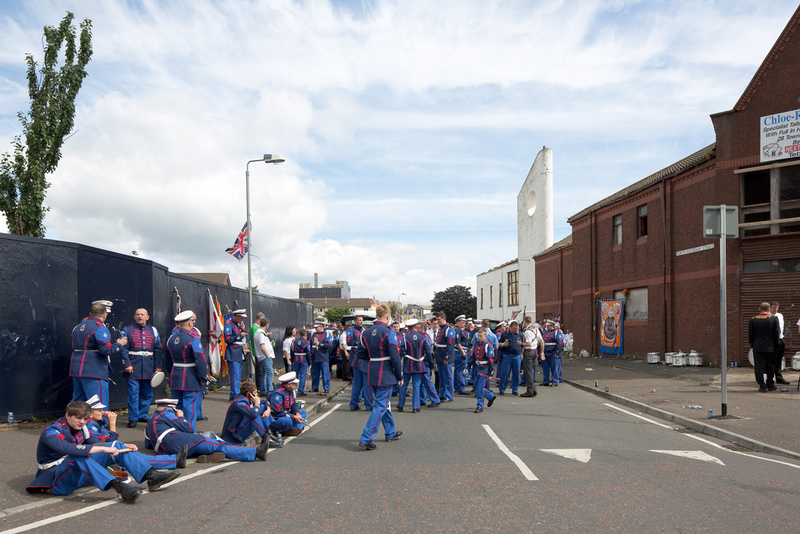 While both activities reinforce Protestant (and, thus, Catholic) neighborhood boundaries, a select group of Orange Order routes have become active sites of territorial conflicts. 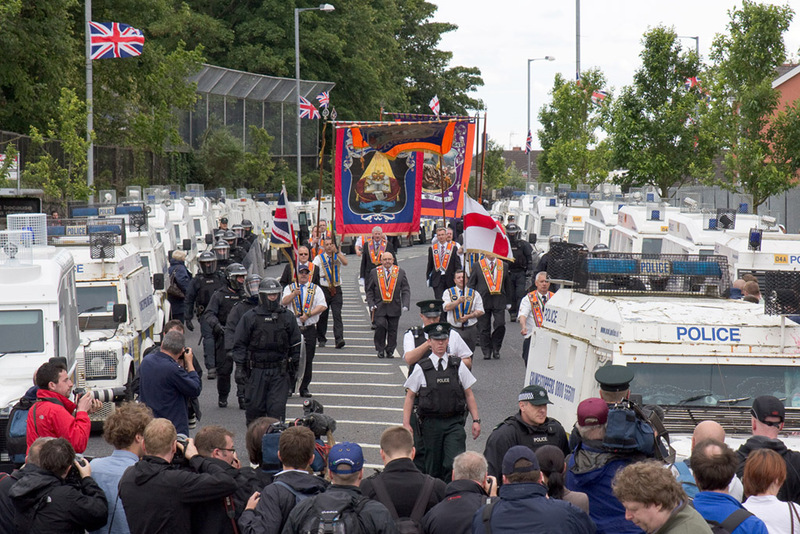 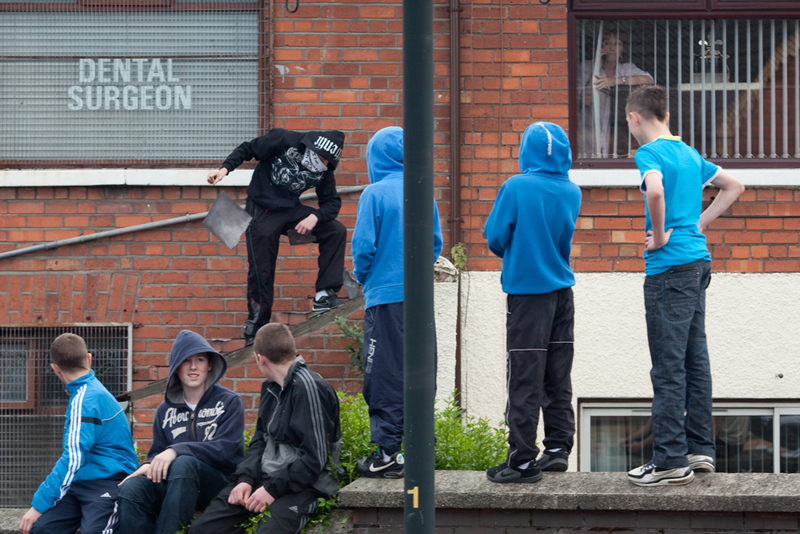 These routes leave loyalist neighborhoods and skirt republican communities, generating anti-sectarian demonstrations and even open violence. 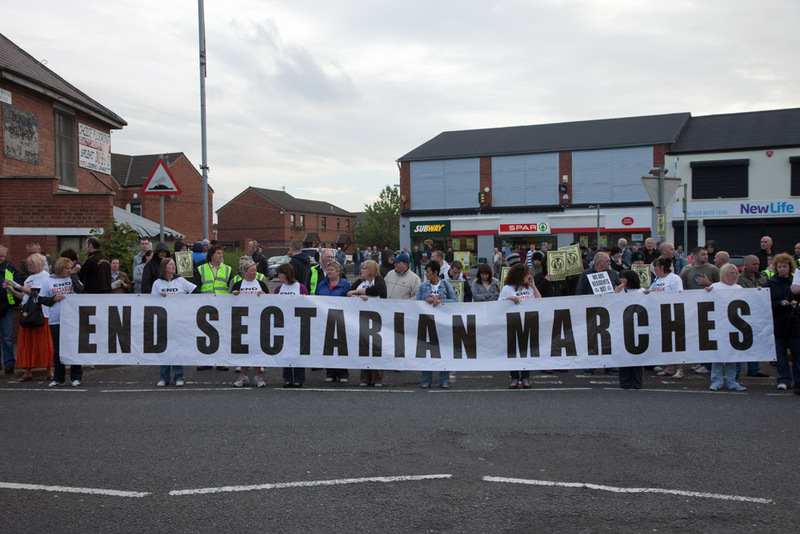 Local organizations sponsor youth football tournaments and other events designed to provide alternatives to challenging the marches, but riots often follow such parades. 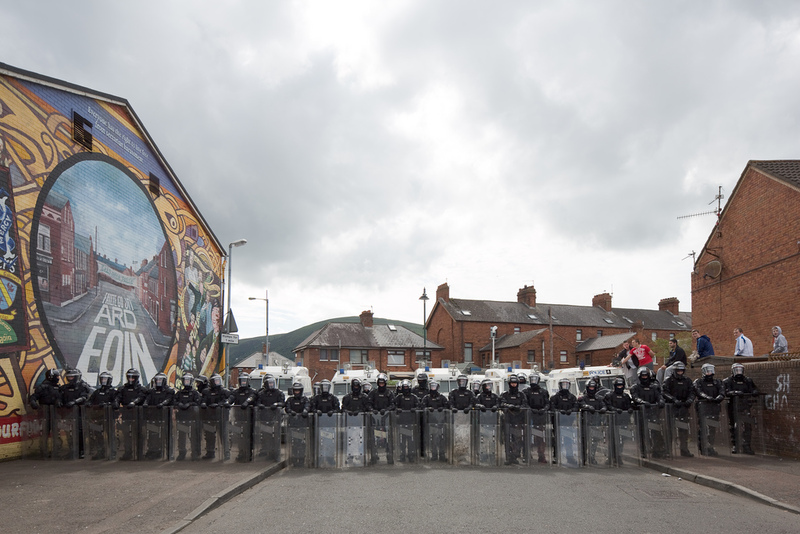 In the middle of these skirmishes, the Police Service Northern Ireland isolates republican and loyalist communities into "their" neighborhoods, reinforcing the territorial divisions. 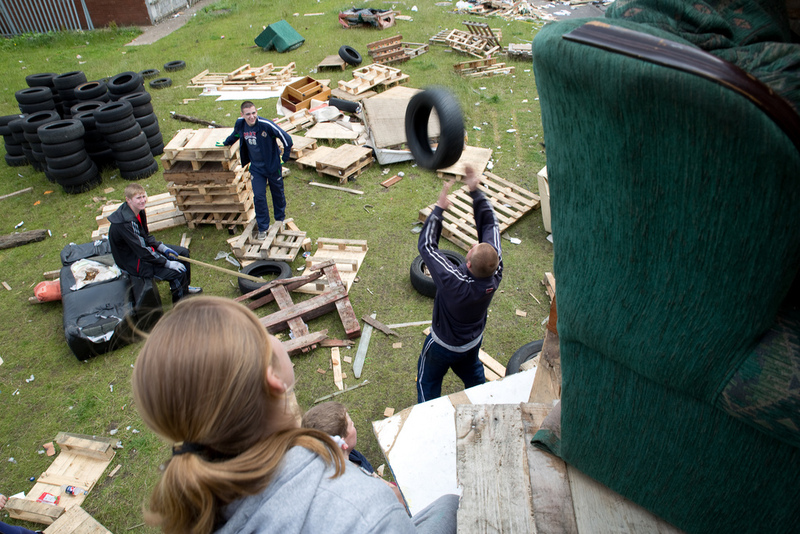 Consequently, as the youth engage the police, they simultaneously reconstruct the neighborhood divisions. 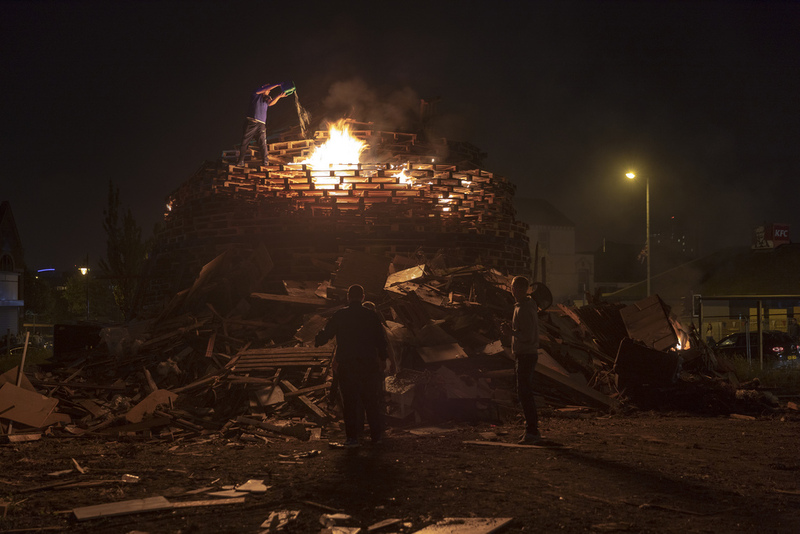 This ongoing series is comprised of photographs made during the days surrounding Eleventh Night and The Twelfth in 2010, 2012, 2016, and 2018. 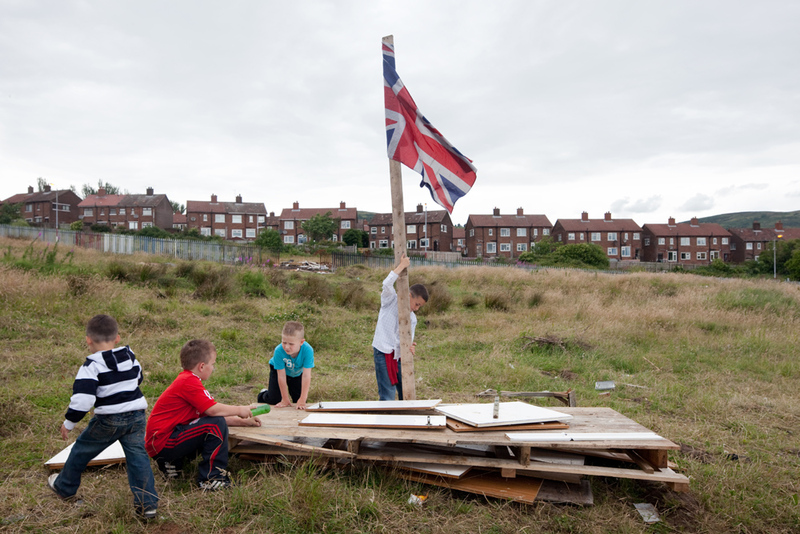 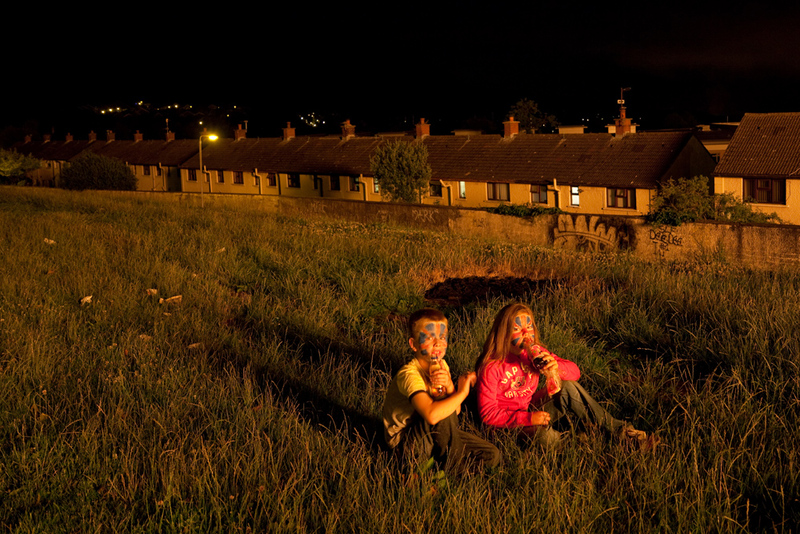 Belfast, Northern Ireland has shown at Art Works Projects in Chicago and the University of Notre Dame, and selections from the project are included in the Museum of Contemporary Photography's Midwest Photographers Project. 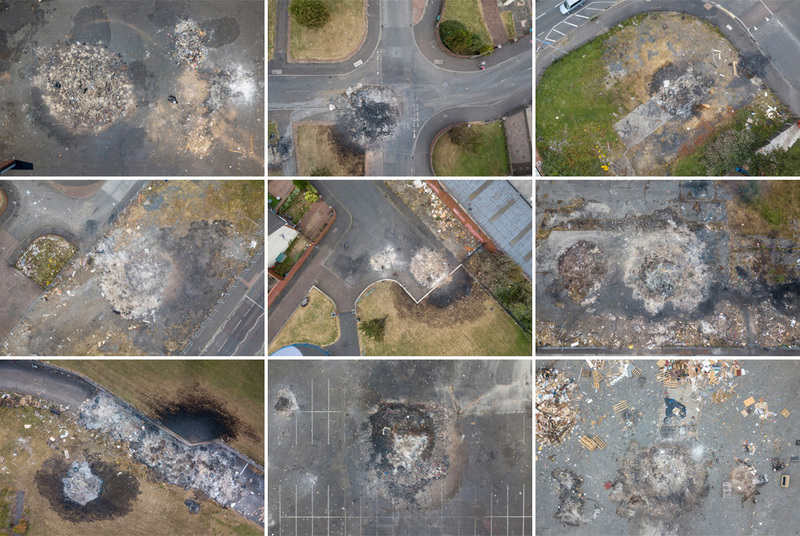 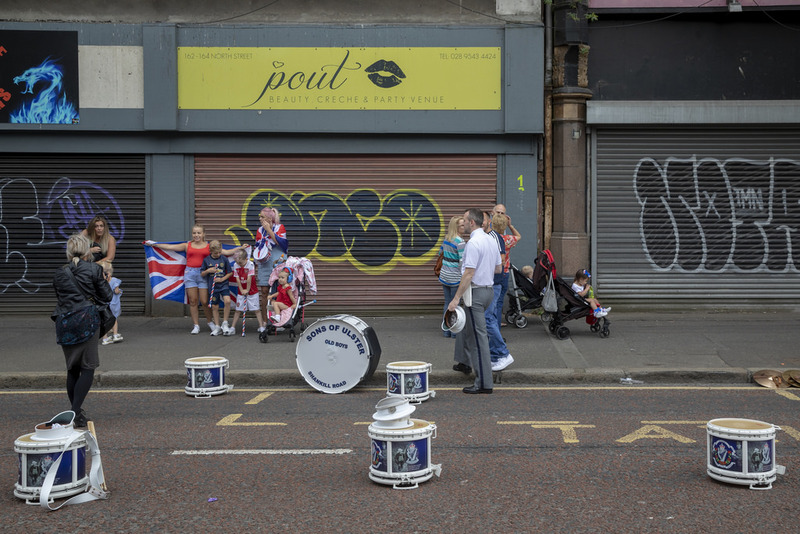 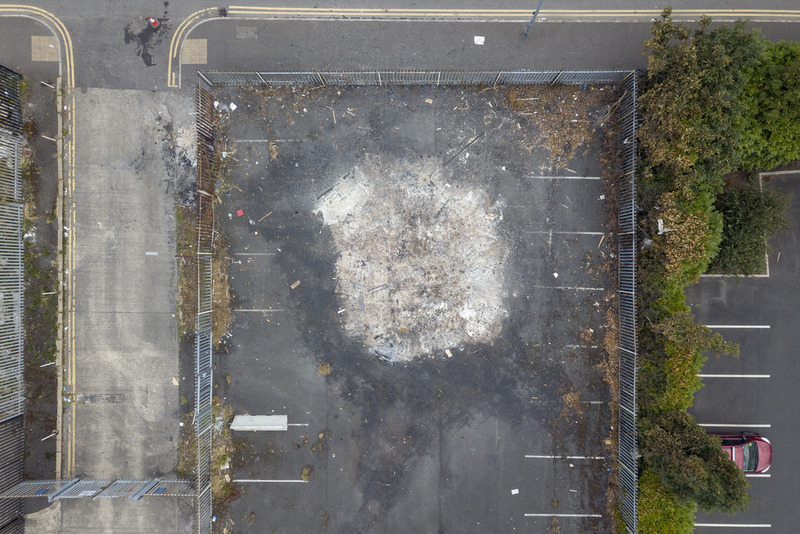 See additional Belfast images from 2012, 2016, and 2018 on the blog, as well as in Contexts magazine. 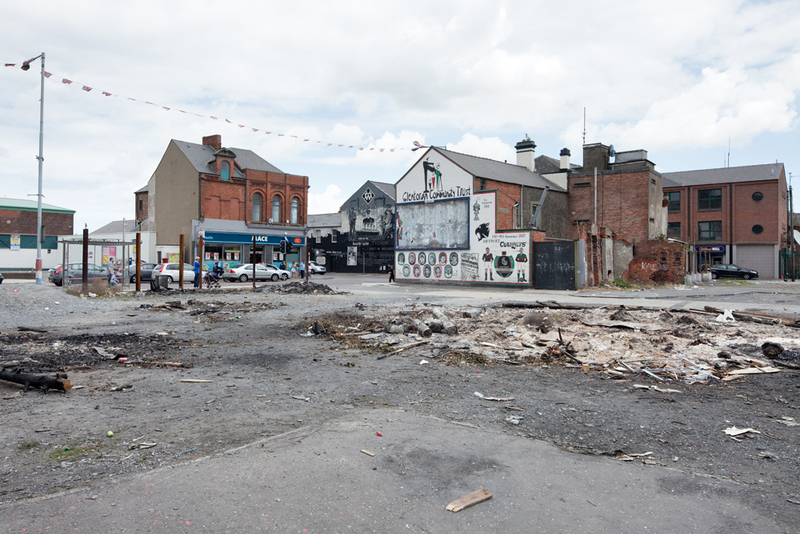 Prints from Belfast, Northern Ireland are available directly from David.